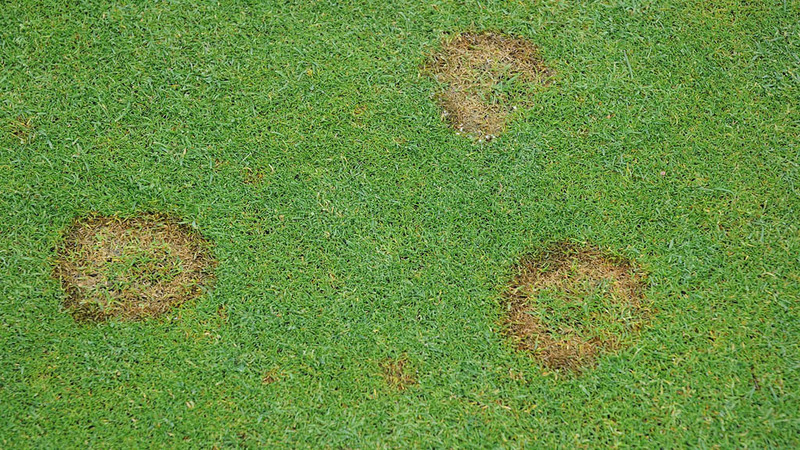 This season’s variable autumn weather conditions, fluctuating weekly from warm periods stimulating turf growth to frosts and intense cold, put immense stress on turf plants – and resulted in widespread outbreaks of Microdochium Patch (Fusarium). Despite the relatively mild conditions so far, the long-range forecasters have already issued doom warnings that this could be the coldest and wettest winter ever. Certainly recent years have been significantly wetter than the long term average. December 2012, 2013 and 2015 were all more than 50% wetter than average for the UK, with last year an average 80% higher and many areas of northern England and Scotland receiving more than double the norm. However, after another year record global warm temperatures, the experience of recent seasons indicates the trend of mild winters could continue. Last year turned out to be third consecutive season of incredibly mild conditions. The average for England and Wales was 4°C above the norm at 7.9°C; a full degree above the previous record December. Indeed, some places recorded warmer temperatures on Christmas Day than it was in early June – an indication of the current topsy-turvy weather patterns. Table 1. UK weather records since 2011 highlight the consistently warmer and wetter conditions that have been experienced in December – creating real challenges for turf management. 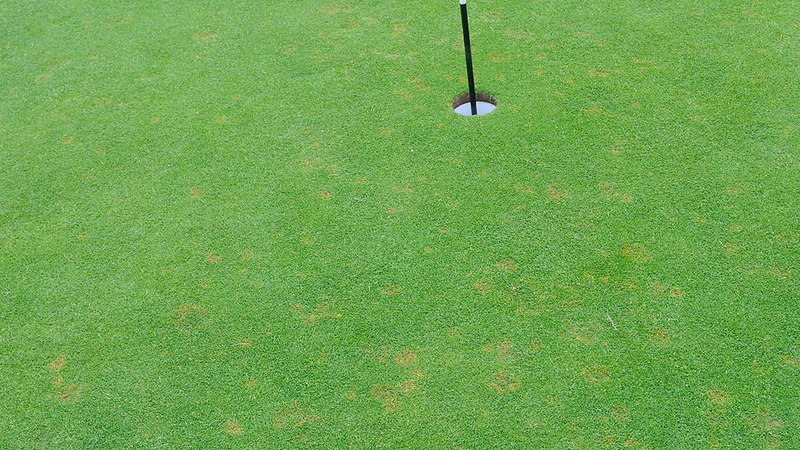 The prospect of persistently wet surfaces significantly increases the risk of Microdochium Patch. Disease thrives in wet surface conditions and, if we get any snow it acts as a thermal blanket at soil level that creates permanently moist leaf conditions. Withiout an effective disease control strategy early symptoms of Microdochium Patch disease (above) can quickly develop into irrevocable damage to playing surface quality. Early reports indicate that, after the high incidence of disease outbreaks in November, there is already a high incidence of Microdochium inoculum present on the leaf and in the thatch, which can be expected to increase as conditions turn more conducive. Applications of Medallion TL can reduce the pathogen loading in the thatch, and help to deliver long-term protection for the turf leaf. 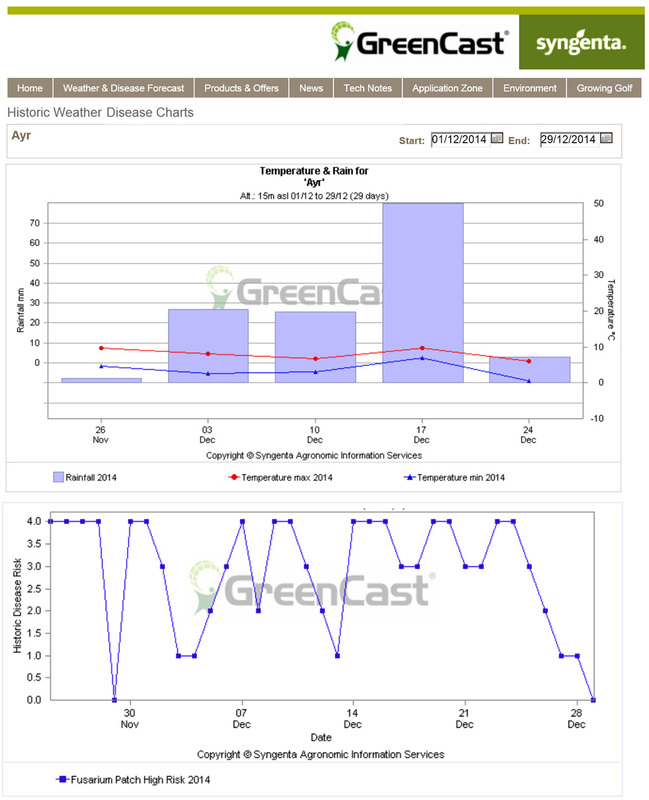 Where it is possible to foresee periods of disease risk using GreenCast, there is potential to get the best protection from proactive applications of Medallion TL, applied as close as possible to the infection period and targeted to reduce turf pathogens on the leaf, thatch and soil. If variable weather conditions persist, or if applications have been delayed, the multi-active Instrata offers greater flexibility.